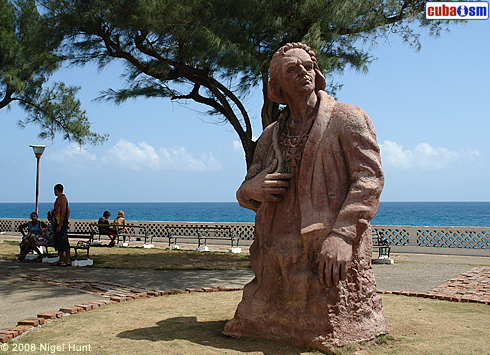 Along the eastern edge of the village runs the Malecón, a miniature of Havana’s seaside promenade, which ends in a park dedicated to Christopher Columbus, who arrived here in 1492. His statue,hand-hewned out of a giant tree stump, stares inland with a stern expression. 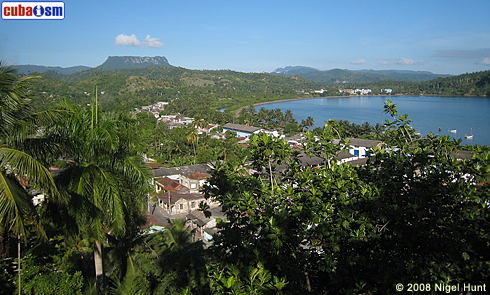 Downtown, in the Cathedral Nuestra Señora de la Asunción, you can see a silver-plated cross he is said to have planted on the beach near what is now beach of the Hotel Porto Santo. 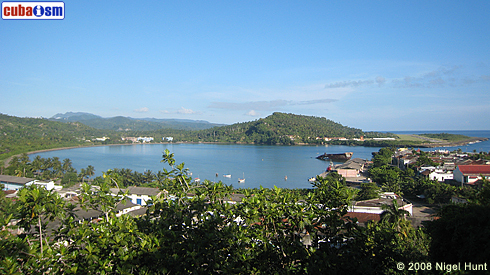 To the north-west of town lie the tranquil beaches Playa Maguana and Playa Nibujón. 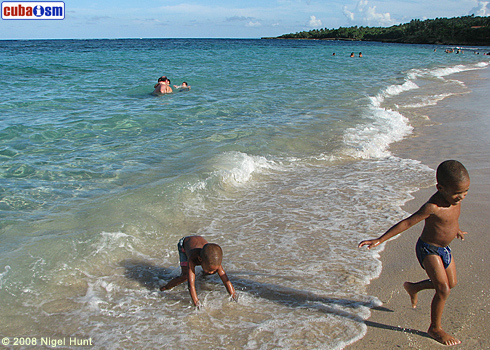 Playa Maguana is the tourist beach, featuring restaurant and bar service, while the Playa Nibujón is more rustic and frequented by the locals. 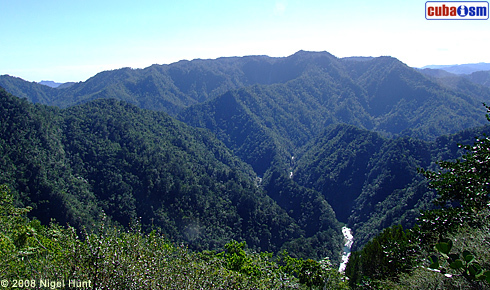 Located farther inland one can find the UNESCO Biosphere Reserve known as Cuchillas de Toa (The Ridges of river Toa). It is one of the world’s last untouched rainforests and it contains large number of endangered plant and animal species. Among these species is the Cuban land snail, about two inches in diameter with striking spirals of colour. 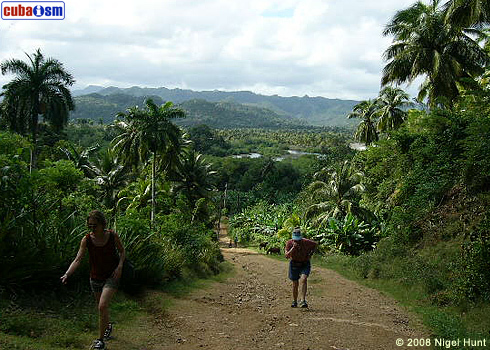 It is advisable to hire a guide for trekking or hiking excursions in this reserve. Official government guides can be found at the Office of Natural Parks. However, local people are happy to act as guides and are often more affordable and entertaining. This common practice is technically illegal, so some discretion is advised, such as not handing over bills in public. 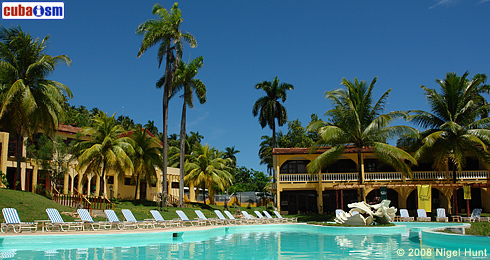 After an active day of hiking and swimming, return to the homey atmosphere of your bed and breakfast, or casa particular, and enjoy a home-cooked meal. Be sure to advise the proprietor of your meal choice in advance. For less than a McDonald’s Happy Meal your hostess will prepare a feast of traditional Cuban Creole food: fried chicken, rich, beans and sweet plantains, or better still, a typical Baracoan meal of fresh Black Market seafood, fish stuffed with plantains, garlic-rubbed shrimp or lobster smothered in butter.